Below you will find a map of parking spaces in the Cultural Zone, taking into account parking spaces for the disabled. In case of difficulties in accessing the International Congress Centre, please contact security directly (at 48 32 438 40 30), who will be of help if need be. The operator of the International Congress Centre has no influence over people who are not entitled to do so occupying the spaces for the disabled. 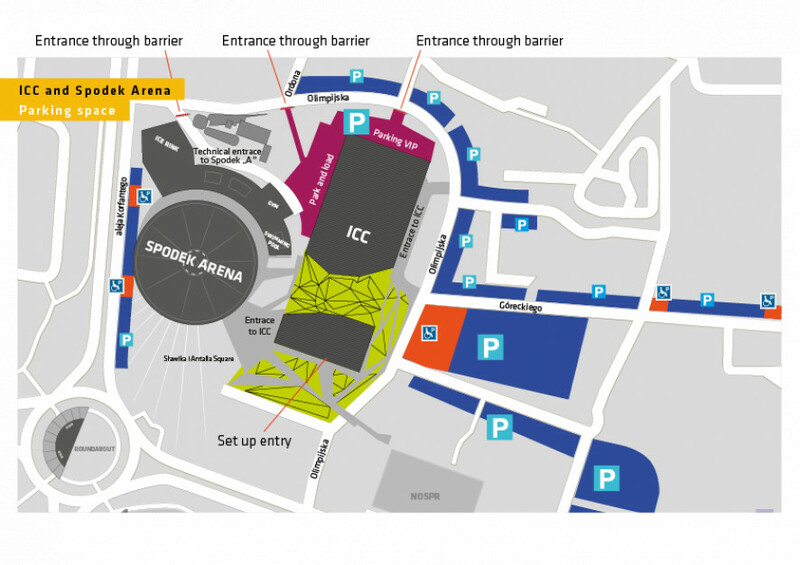 Please find information about access to particular spaces of the International Congress Centre on the left hand side.